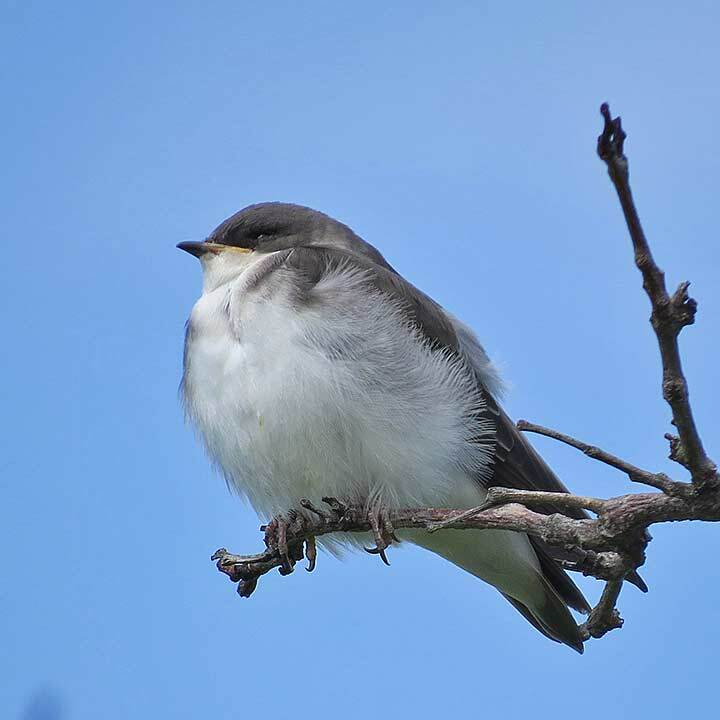 Glenn Coady lead a very successful walk on June 15th, with over 40 participants and nearly as many different species of birds (39). 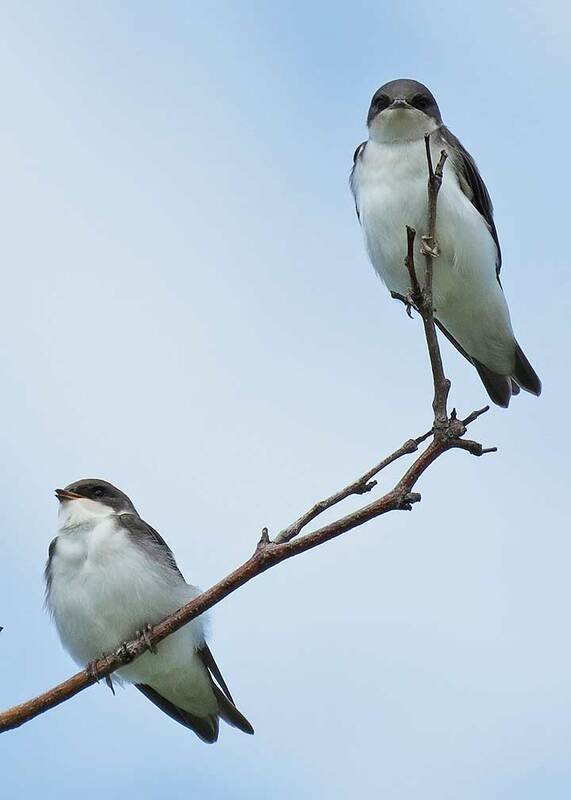 In June we expect to see mainly local breeding birds and this walk focused on 3 unusual breeding species. 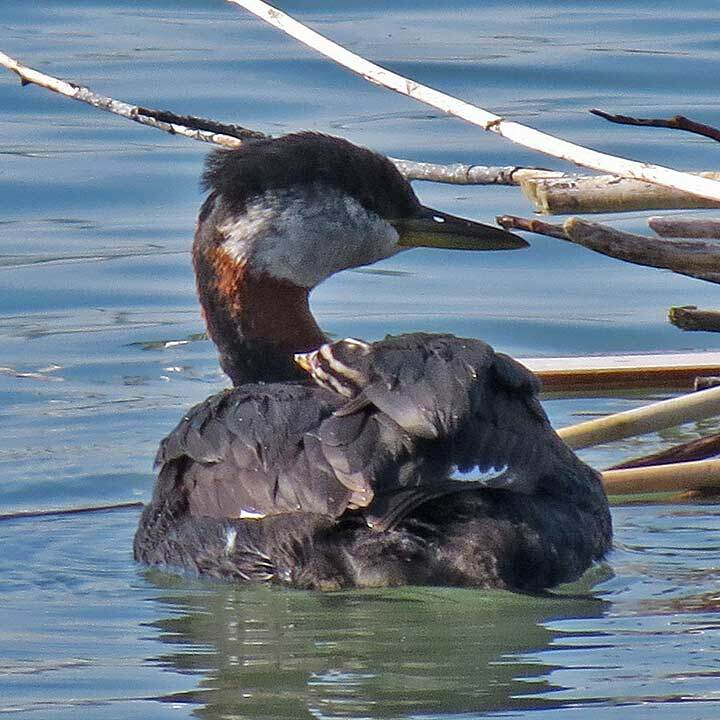 First were the Red-necked Grebes. 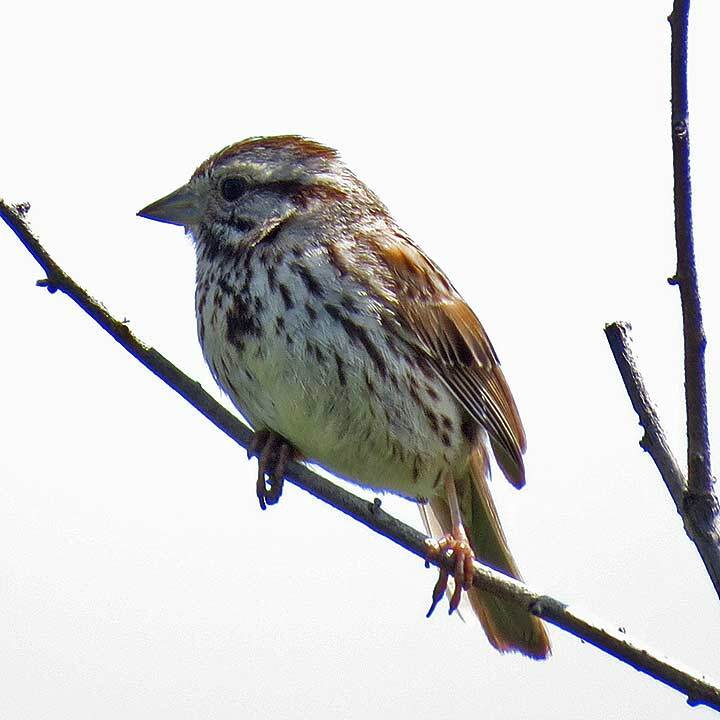 This is a prairie breeding species, normally only seen in Toronto in migration. 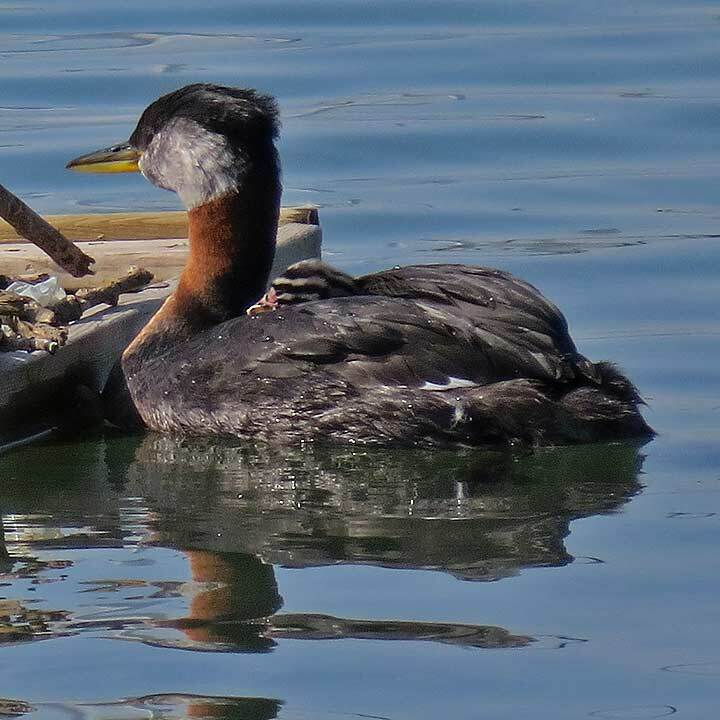 A few grebes have lingered into summer for nearly ten years, apparently interested in breeding. 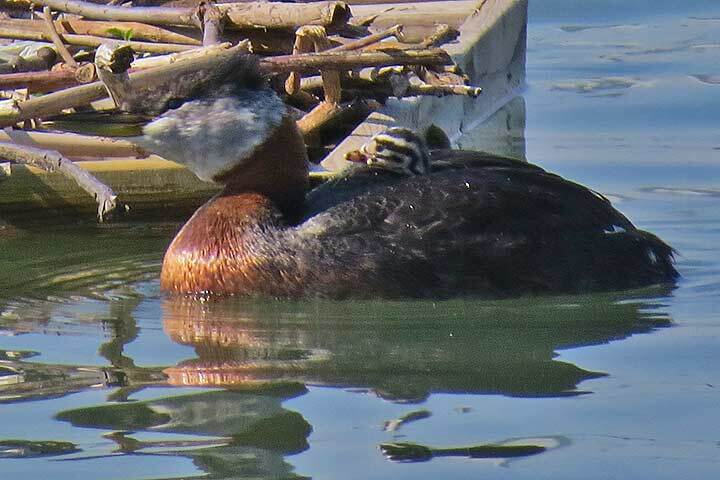 There is abundant food, but poor nesting conditions for a species that normally builds its nest on floating vegetation. 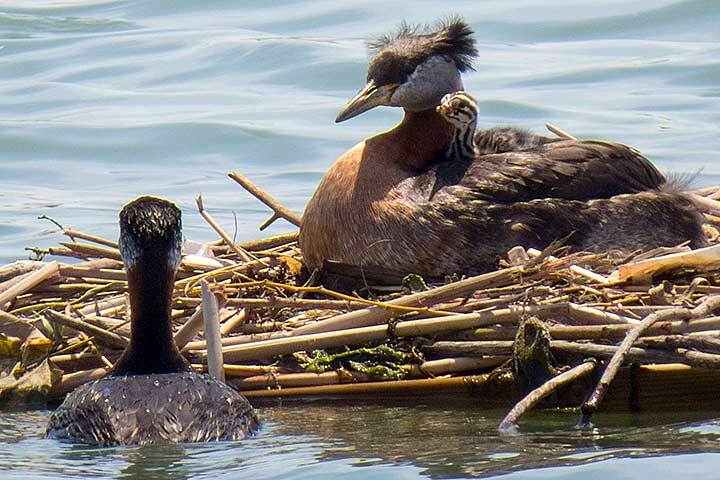 This is the fourth year there have been nest rafts for them at the park. 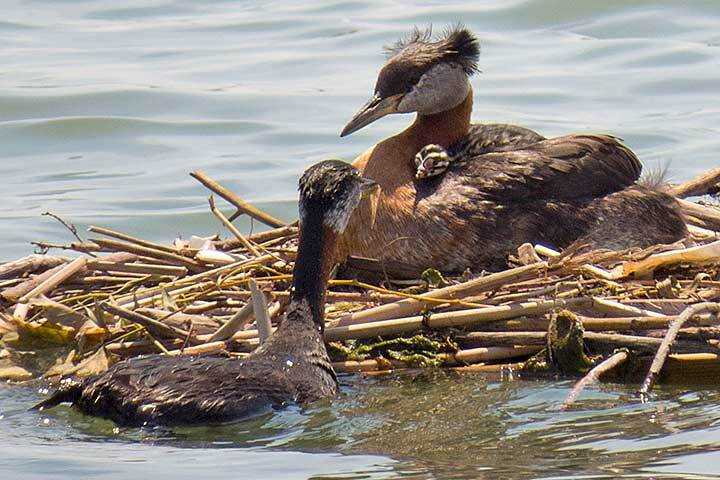 After many failed nests, two chicks were fledged from one of the rafts late last season. 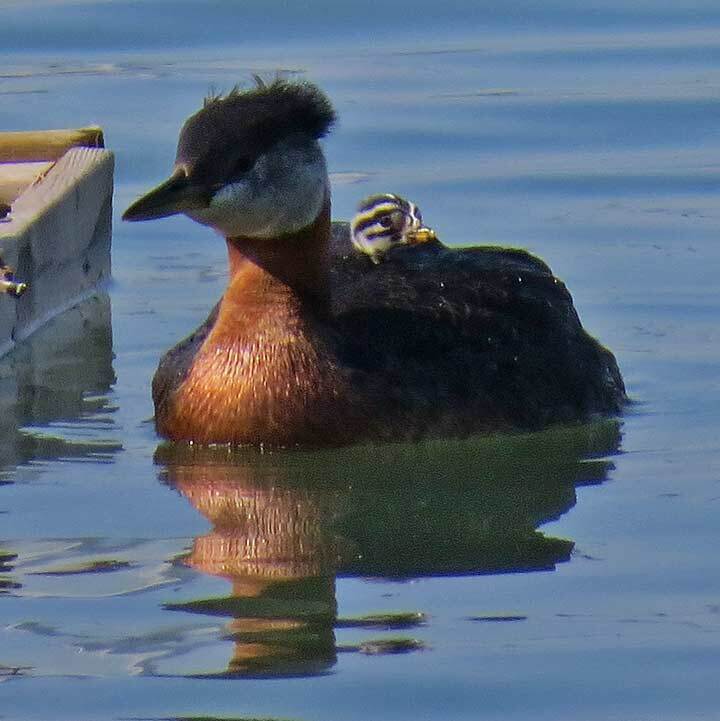 The first chick this year was hatched just days before the walk and everyone got great views of the zebra striped chick riding on the parent's back. 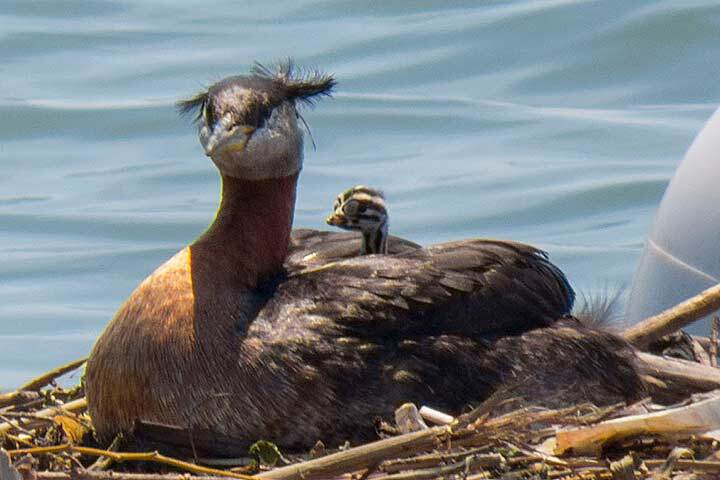 Sam Smith Park is the most easterly known breeding site for this species. 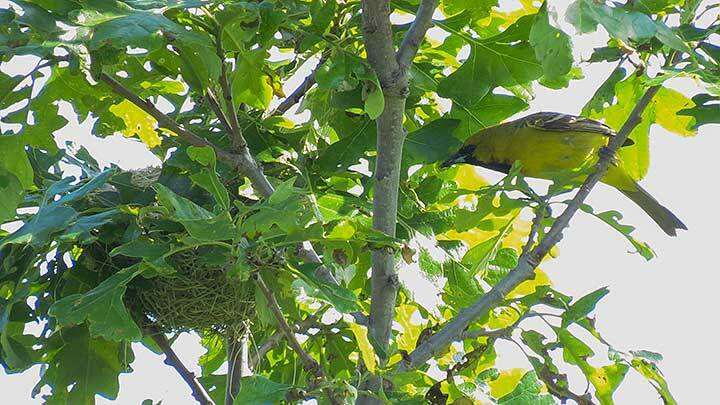 Our second unusual breeding species was unexpected: a pair of Orchard Orioles. 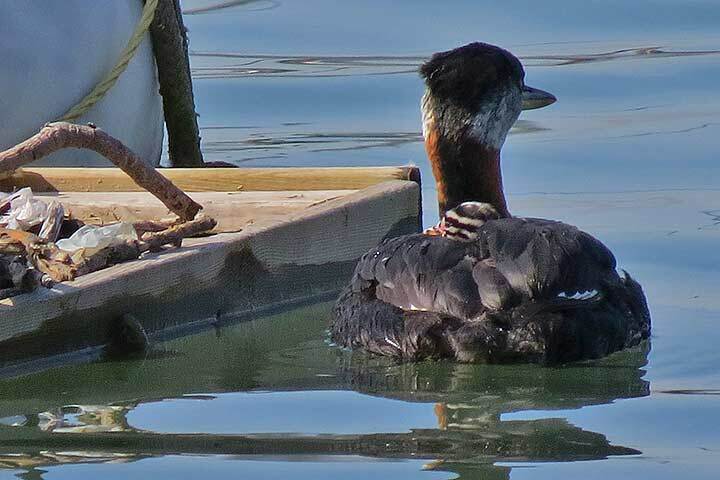 A first-year male had been seen regularly on the west side of the yacht club. 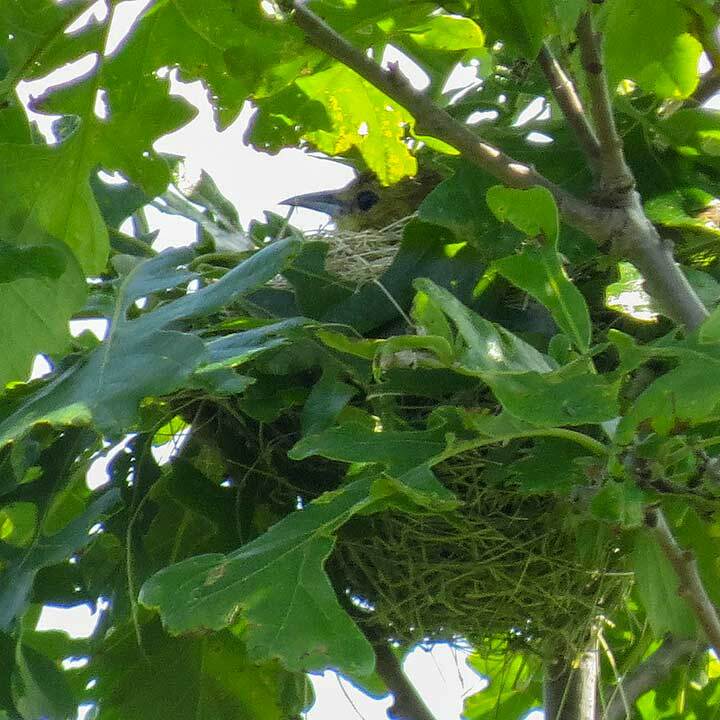 When we went to look for him we found him along with a female sitting on a nest. 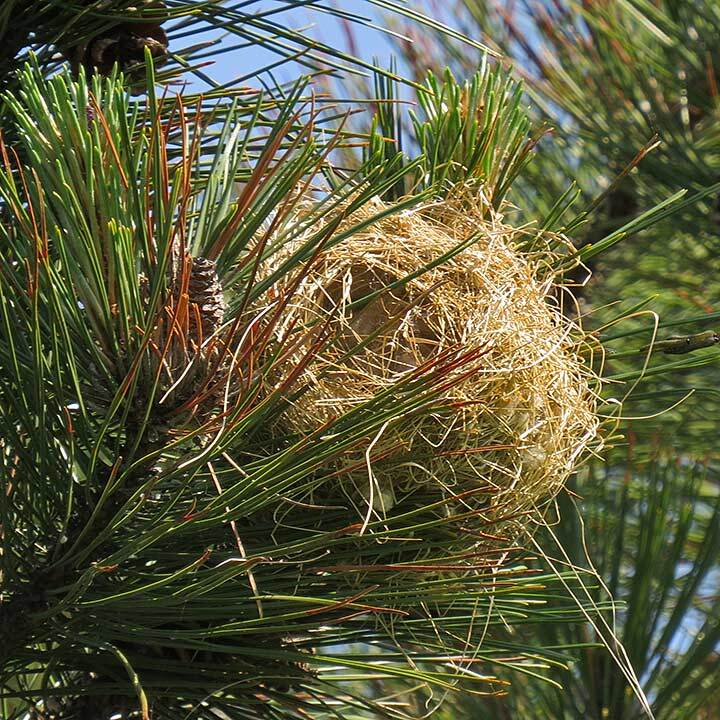 Close by was a more prominent decoy nest, used to draw the attention of predators away from the real nest. 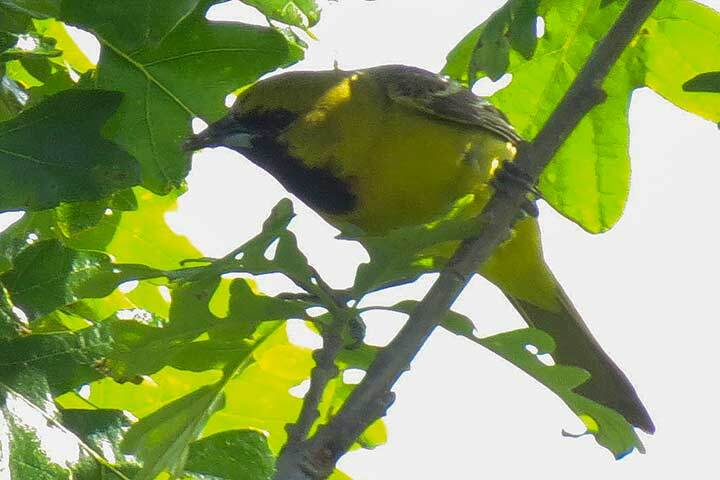 Orchard Orioles are less showy than the more common Baltimore Oriole, but Toronto is at the very northern edge of their range, so there are only a few scattered pairs breeding along the north shore of Lake Ontario. 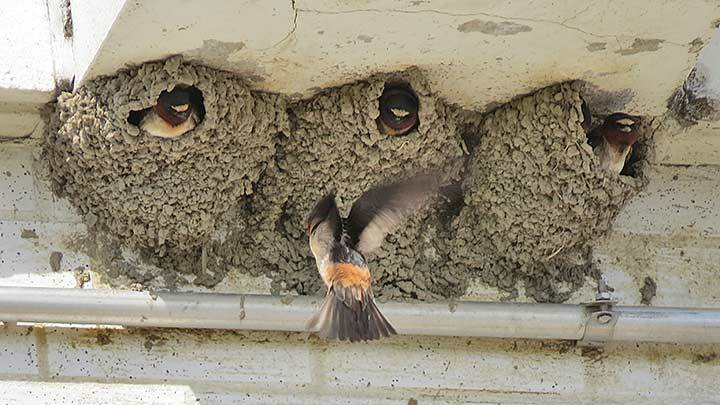 Our third unusual breeding species were Cliff Swallows. 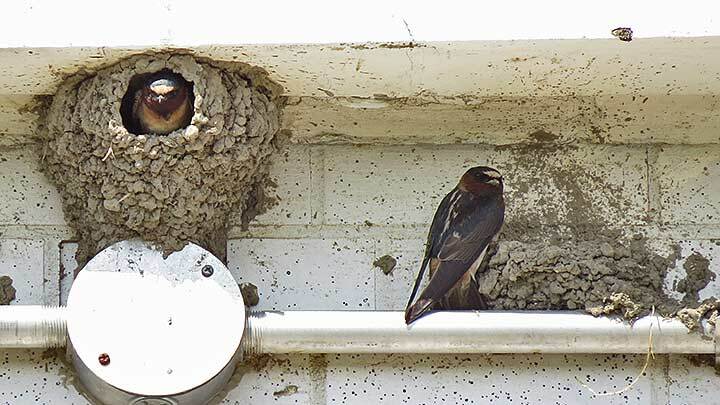 Swallow species are in decline throughout North America, and Cliff Swallows were among the least common to begin with. 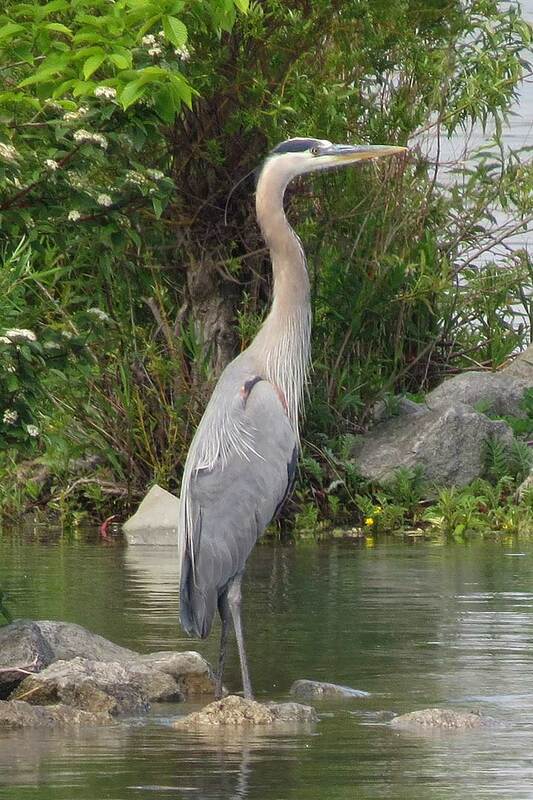 One of the largest colonies in the GTA is on the east side of the south building at the RL Clark Filtration Plant. The entire walk was at the waterfront. We never even got as far north as the pond. We could have more species by travelling further in the park, but this walk was about the quality rather than quantity of species. It was also about learning the natural history of the birds, and there are few people better to teach it than Glenn. 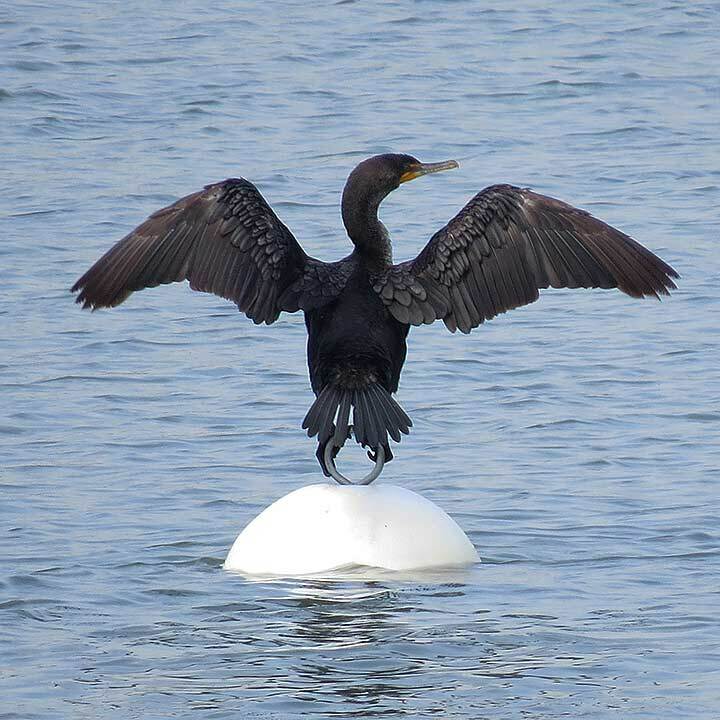 This will be our last bird walk until September 7th. That walk will be at Sam Smith lead again by Glenn Coady. 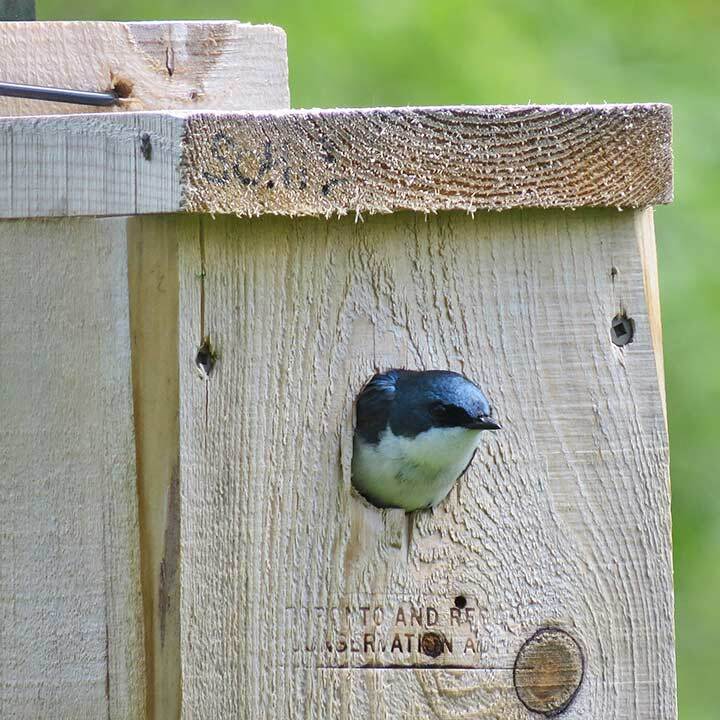 Many thanks again to Birds an Beans, the ongoing sponsor of our bird walks! 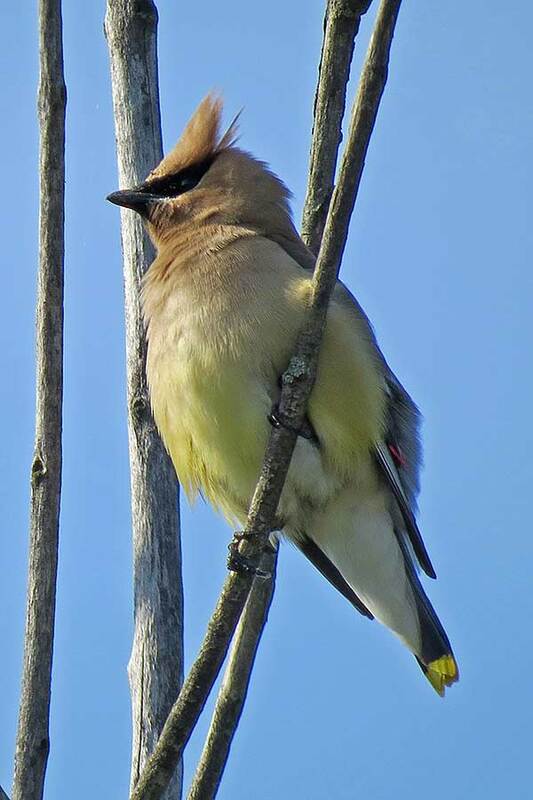 There were several Cedar Waxwings around. This one stopped by to watch us as the walk started. 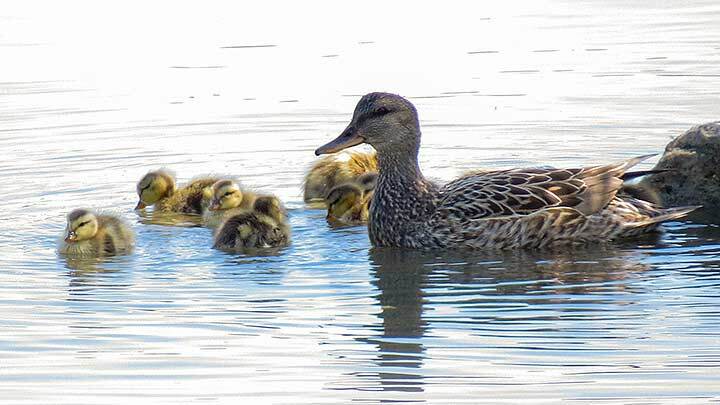 A Mallard and her young chicks: another common park resident.